CHEESE SLICES with Will Studd - 50 Episodes Series 2 / Series 3 / Series 4 / Series 5 / Series 6 / Series 7 / Series 8 / Shot on location . Australia, USA, Japan, India, Spain, Greece, Netherlands, Canada, Switzerland, England, Italy, France, Cyprus, Sardinia, Corsica, Norway, Portugal, Denmark, Israel, Sweden, Turkey, New Zealand & Brazil. Galileo X.perience / Story House Productions Germany. 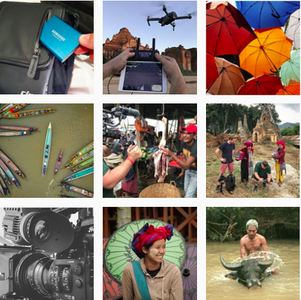 Roger Price is an award winning freelance Cinematographer, based in Canberra, Australia with more than 29 years experience in the industry, filming throughout Australia and in over 62 international destinations. His track record includes multiple ACS Gold awards for Television series, Television Production, Documentaries, Regional commercials, National TVC's, Outside Broadcasts, Sports coverage, branded content, Music Clips, VNR, New Media, Government & Corporate video and Multi-camera coverage. 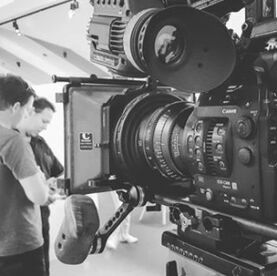 Roger offers you a full range of video production facilities for digital 4K & High Definition, which include the Canon C300mkii 4k 12mbit HD, 4K, Drone, Handheld Gimbal with 5Dmkiv, monitor and lighting.